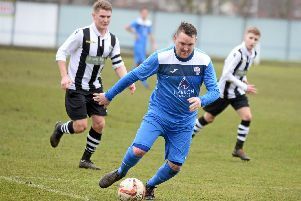 Armthorpe Welfare will be seeking some home comfort when they host local rivals Rossington Main this weekend. Mike Carmody’s side have lost their last four games, all on the road – conceding no fewer than 25 goals in the the process. 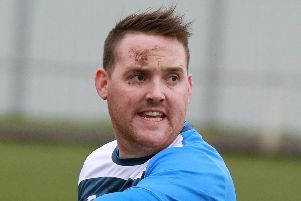 Welfare went down 4-1 at third-placed Nostell MW on Saturday. Adam Stevens almost gifted Nostell the opening goal on 22 minutes with a poor clearance but the goalkeeper made amends by saving Jack Owen’s angled shot. However, Nostell grabbed the lead on 26 minutes when Rhys Meynell netted with a close range header from a corner. Nostell doubled the lead in first half stoppage time when Lee Bennett drilled home to finish off a well worked move. Liam Radford volleyed over from the edge of the box just past the hour mark but soon after Armthorpe were back in the game. Radford played a fine pass into the feet of Luke Williams who drove home a low shot on the angle. However, Nostell quickly restored their two-goal cushion when Adam Hayton was sent away down the left to clip a shot over Stevens and inside the far post. The home side added a fourth deep into stoppage time. Stevens did well to push Owen’s effort onto the crossbar only for Billy Mole to knock the rebound into an empty net. Armthorpe, in 11th, are three places and two points better off than Rossington ahead of Saturday’s derby clash. n Harworth Colliery slipped back into the bottom two after losing 2-1 at fellow Division One strugglers Skegness Town. Courtney Warren gave Town the lead on 36 minutes. However, Dan Stevens’ late winner condemned Lee Needham’s men to an eighth away defeat in ten.